World tennis number one Rafa Nadal emerged as winner of the EPT Charity Challenge, beating Brazilian football legend Ronaldo and world number one poker player Daniel Negreanu. The tournament, played as part of the European Poker Tour (EPT) Prague poker festival has been dubbed the greatest gathering of sporting professionals at a poker table. Nadal, Ronaldo and Negreanu joined former Ukrainian footballer Andriy Shevchenko, Italian skier Alberto Tomba and Dutch Olympic field hockey gold medallist Fatima Moreira de Melo – competing for their share of a €100,000 charity prize pool. 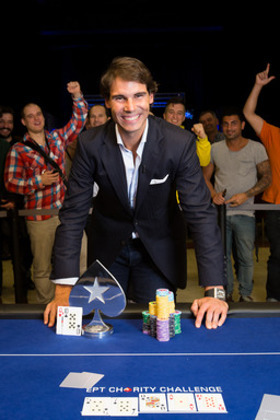 This was Rafa’s first live poker tournament since taking up the game 18 months ago, and the win adds to a spectacular list of 2013on-court triumphs. 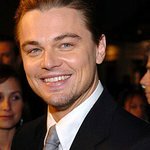 “I played for the first time in a live poker tournament and it was a big honour to play against a lot of stars around me, some in sports and other ones in poker. I had fun and I enjoyed it, and I felt a little bit lucky that I finally won,” said Rafa. Rafa will be donating the €50,000 first prize to The Good Hand Project, a cause he has been supporting with other Spanish celebrities and the poker community to help young people back into work. To watch all the live action from the EPT, click here.